My next project as soon as have time and money is building one DUMBLE OVERDRIVE SPECIAL amp clone.I have build until now some amps based on Marshall or Fender circuits and they sound great,but for overdrive sound DUMBLE is the Holly Grail of all amps. Here is a video from one of these amps for hear how does it sound. 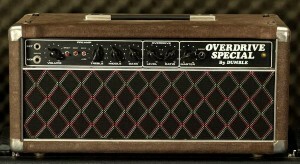 I never had one because I am not rich but soon I will start making my one clone of this very famous amplifier. It will be a perfect replica of the 6L6 tubes 100W head. When I start the project I will publish here photos and a diary of the building process. Another project that I wish to do as soon as I can is a Pine Bodied Stratocaster because after all this many years (28)doing guitars and basses I never did one because when I learned building guitars my luthier teacher told me that Pine was not a good wood for making guitars and I believed him ,during all this years I believed that ,until recently see an article from one american Luthier saying and proved the contrary,because the result is not good but instead is excellent . See this video and have an idea about how good they sound. So I want to start build one as soon as possible .